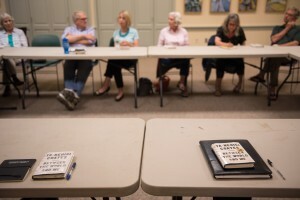 “Violence & Belonging: The 14th Amendment and American Literature” is a Let’s Talk About It book and discussion series that addresses issues of diversity, identity, and inequality. For many Americans, the promises of citizenship fall short of reality, and the books in this series remind us that the more expansive version of American citizenship brought about by the Fourteenth Amendment was formed in the wake of violence and historical trauma. Tune in to this new audio story from Humanities on Demand and hear perspectives on Let’s Talk About It and “Violence & Belonging” from South Berwick Public Library and Norway Public Library, both of which have recently offered the series in their community.